Welcome to MesaAZHomesforSale.com, your destination to search all homes for sale in Mesa and the surrounding area such as Gilbert, Chandler and more! This thriving metropolis in Arizona’s southwest sector is located just outside Phoenix. Strategically situated along commerce corridors, it's easy to reach from the Greater Phoenix Metro Area. Multiple business districts provide Mesa with a diverse economy that is enticing elite industry and skilled technology workers alike. For more than a decade, companies re-locating to or expanding in Mesa have been taking advantage of favorable tax incentives. Boeing and Banner Medical Centers, are just a few of the large employers that call Mesa home. The city’s downtown is a vibrant epicenter that features boutiques, antique shops, museums, studios and cafes. Mesa offers an endless list of things to do. Every Spring, the Chicago Cubs and Oakland A’s draw baseball fans from near and far when they hold their training camps in the desert city. The attractions for outdoor enthusiasts don’t end there! A variety of sports facilities cater to all age and skill levels. You can play a round a golf at some of the highly ranked courses. Enjoy convenient access to the numerous parks, which feature three lakes, two rivers and endless hiking trails, or experience special events and community festivals. When it comes to looking for a home in Mesa, there are plenty of options to choose from. From single-family homes and condos to townhomes and luxury estates, the options are endless. 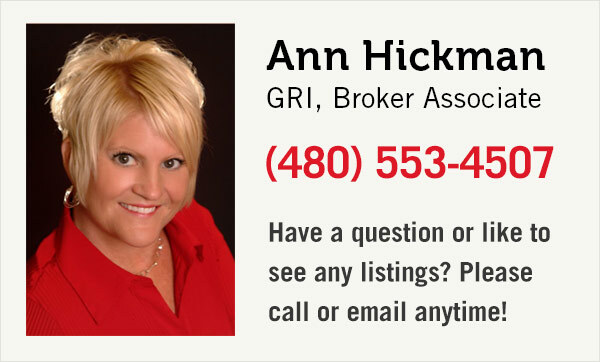 If you’d like to view any Mesa or area properties call 480-553-4507 or email us, we're happy to help!